Here at Dynamic Roofing Concepts, we know that money is tight and that new roofing in Tampa FL or any of the neighboring cities may not be at the top of your budget for the month. We also recognize that problems with your roofing can’t be ignored, or they will get bigger and cost you more money in the long run. That’s why we work hard to keep our prices affordable and offer financing options that ensure that you get the service you need when you need it. We work with you to find the right products for your home or business, and then we’ll turn around and guarantee that you get the financing you need to pay for it. We work hard to be honest and transparent in every transaction so you know just what you are paying for. We will discuss your payment options with you to ensure that you are getting exactly what you need for the price you can afford. Many customers ignore problems with their roofing in Tampa FL and the neighboring cities because they fear the cost, and we want to eliminate that problem and concern for you. You can count on Dynamic Roofing Concepts for the best in products and workmanship, affordable prices and great customer service with every job. We care about your roofing, and want to ensure that it lasts when you make an investment with us. 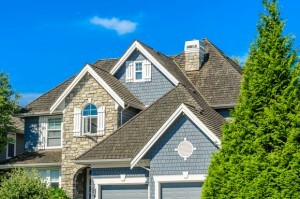 Don’t allow problems with your roofing to go on any longer when help from one of the premier Tampa roofing companies is just a phone call away. Call us today at 813-257-9355 for a free estimate on roofing in Tampa.